AMPS December 2016 Newsletter - news, articles & information. Why not bookmark this AMPS Newsletter and read at your leisure! Header image - courtesy of The Farm. Beerd, 157-159 St Michaels Hill, Cotham, Bristol BS2 8DB, 7.00pm on the last Wednesday of each month is the place to meet up with other AMPS members and like-minded people! Great craft beers and amazing pizzas are available! Make sure that you attend the AMPS Social at the De Lane Lea bar in Dean Street on the first Tuesday of every month - be social with your AMPS members! The first Tuesday in every month - 6.00pm. … not in Cardiff, Bristol, London or Leeds? Andrew Wilson reports, "Very pleased with AMPS 'Social' progress across the UK. If anyone elsewhere in the country would like to get something going in their region please let me know and I’ll get you started. I’ll do the admin and emails, we just need someone local to host!" All events are open to AMPS members and guests. They are a great chance to put faces to names, to network and to chat. It’s a rare opportunity for production sound and post sound folk to get together… plus there’s beer and food! See article below for more information. On behalf of the AMPS council and officers, I'd like to send warm greetings to our membership, their families and loved ones for a very Happy Christmas, a joyful, successful and prosperous New Year. This past year AMPS has held several popular and successful events including audio for computer games and new developments in sound design software and video playback. The association has sponsored two external events including the recent Sound of Story in Brighton in which several AMPS members were participants. Our film and TV awards continue to grow from strength to strength, but we need your help both for nomination suggestions for the TV awards and volunteers to participate on the TV awards group. Likewise, we need suggestions for events you'd like to see and volunteers to help organise them. 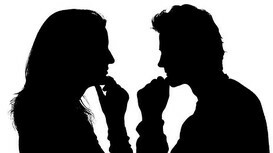 If you can only spare a couple of hours from your busy schedules that would be of enormous help. The association is only as strong as it's membership and the time and effort they can spare to drive the association forward, whether that is just helping out at events, participating in the groups or standing for council. With the very best wishes for the season, Paul Davies AMPS Chair. The Eligible List is now open to AMPS Voting Members (Full, Associate or Retired) for suggested titles. Please submit any Dramas you have viewed or worked on that you consider worthy of inclusion in this year's AMPS Awards; you may suggest as many titles as you wish. From the Final Eligible List created, a ballot will be conducted among all AMPS Voting Members to determine the five Nominated Titles. A further ballot will decide the winner. Please click here to enter your suggestions. Members are reminded that nominations for prospective Councillors are still open. Please feel free to self-nominate as well as proposing any Full, Retired (formerly Full) or Fellow Members who you feel will be able to make a positive contribution to our Association. Further information and full details about the nomination process for AMPS Council 2017 can be found on the Nominations Form by clicking the link here. All nominations must be submitted no later than 31 December 2016. We are a volunteer run organisation and we rely on our Members coming forward to take part in driving the success of AMPS forward. Please get involved. Pinewood Studios has made dreams a reality. Billions of people across the globe, of all ages, from all walks of life have read six words on cinema or television screens: “Made at Pinewood Studios, London, England”. From hosting super spies and superheroes, Pinewood has been home to a galaxy far, far away, helping create the movies that have made audiences laugh and cry in equal measure. Some of the most glittering careers on both sides of the camera, have been launched behind the iconic gates of Pinewood and 8th December, 2016 sees the publication of a new hardback coffee table book, Pinewood – The Story of an Iconic Studio by Bob McCabe. From James Bond to Star Wars, to the modern age of Marvel and the re-imagining of the Disney classics, Pinewood Studios and Shepperton Studios have played host to the greatest and most cherished movies of all time. Complete with many exclusive behind-the-scenes images from those classic movies, this new book offers insight, anecdotes and interviews with some of the producers, directors and acting talent who have worked at the studios, including Ridley Scott, Barbara Broccoli, Tim Burton and Sir Roger Moore. 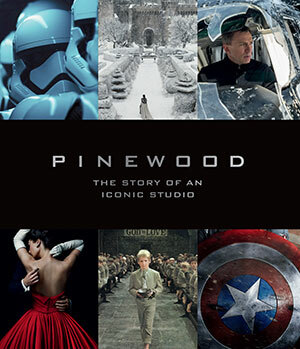 Recently published, a copy of Pinewood - The Story of an Iconic Studio has been made available to AMPS members as a prize for a Christmas competition. All you have to do is email newsletter@amps.net with 'Pinewood' as the subject line and you will be entered into the lucky draw. Competition closes on Monday 16 January 2017. Many thanks to Pinewood Studios for offering this prize. AMPS is pleased to announce that it will be holding its third cable clinic on 21 January 2017 at Elstree University in Borehamwood. The cable clinic is a 4 day course that will take place every Saturday between 9.30am and 4.40pm for 4 weeks and is open to all members of AMPS, although priority will be given to Sound Assistants and Trainees. The course fee is £200; which has been heavily subsidised and made possible by a grant from Skillset. Click here to read much more detail on course content and to book your place. 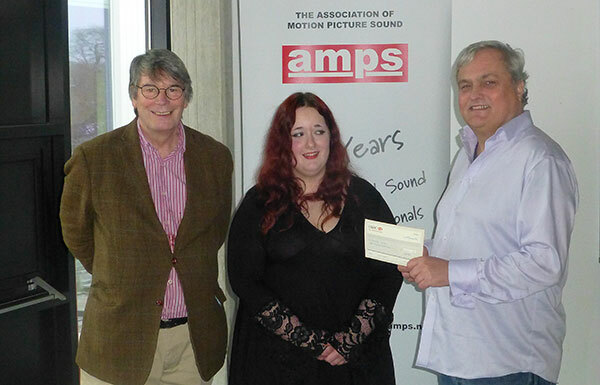 Following on from last month's report, NFTS student Daniella Smith was the worthy recipient of the £1000 AMPS Scholarship bursary. Left to right - NFTS Director Nick Powell, Daniella and AMPS Chair Paul Davies presenting the cheque. 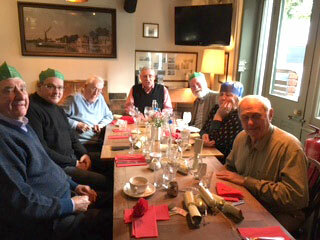 The AMPS Retired Members' recently held their Christmas lunch at The White Swan in Twickenham. Left to right - David Bowen, Tim Worth (potential AMPS member!) Brian Marshall, Ian Munro, Clive Derbyshire and wife, David Crozier. Award winning post production company The Farm becomes a sustaining member of The Association of Motion Picture Sound. "We are thrilled to support The Association’s aims and objectives in the developing and promoting of sound professionals working in television and film production." The Farm provides HD, 4K, UHD, HDR, VR360 picture and sound post-production services to producers across the world, with the finest creative talent and production support helping to create award winning programming. 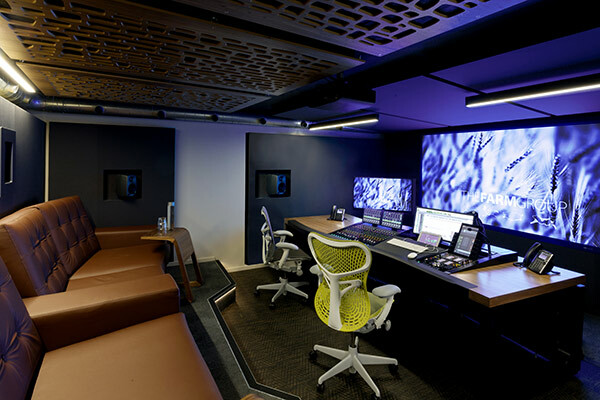 The group now has over 150 edit and grading suites across their facilities, in addition to twenty-two 5.1 & 7.1 mix studios, seven voice-over suites and six tracklay suites. The audio studios are fully equipped with the latest technology, including Pro Tools 12 and Avid S6 control surfaces. 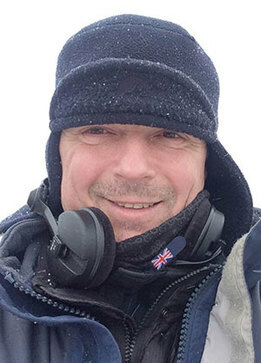 The Farm’s audio team work on a range of entertainment, factual, drama and feature film projects, including the recent International Emmy Award winning series Hoff the Record, mixed by The Farm’s Head of Audio and BAFTA Award winner Nick Fry, and 2016 BAFTA Children’s Award Winning Topsy and Tim, mixed by Tristan Powell. With the recent expansion of their seven floor facility in Newman Street, The Farm is excited to welcome Re-recording Mixers Jules Woods and Adrian Rhodes (both full members of AMPS) to the team. In addition to The Farm’s four central London and in-house facilities at UKTV and BBC in Salford, it also has facilities in Bristol and Los Angeles. 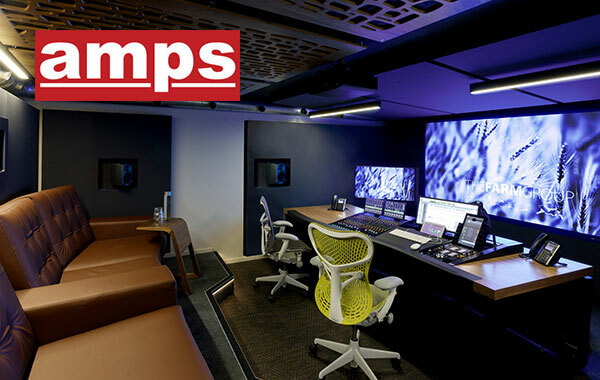 Nigel Edwards, The Farm's Creative Head of Audio, 2014 AMPS Excellence in Sound Nominee and RTS Award winner for Best Sound, said, "I am so proud of the amazing department we have built over the years. Our range of projects and AMPS membership shows The Farm's continued commitment to delivering high quality audio." Ann recently held a Masterclass at the The Sound of Story in Brighton where she was awarded an AMPS Lifetime Achievement award and Honorary Membership. She takes up the story, "Paul (Davies) handed me the SURPRISE of my life. He got on the stage and said that AMPS was making a 'surprise announcement' and then he, as Chairman of the Organization, offered me a Lifetime Achievement Award and Honorary Membership in AMPS!! It’s been a few days now and I can’t believe I wasn’t dreaming. And if it’s true I still can’t find the words to express how much that means to me!" 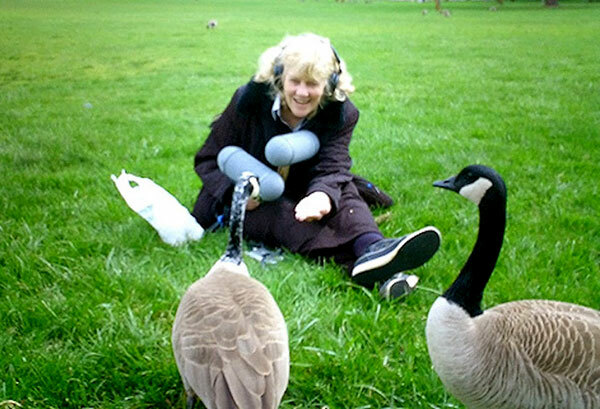 Ann Kroeber is a sound designer, effects editor and recordist with over 30 years’ experience. She first discovered her love of sound when asked to record outdoor Chinese New Year celebrations whilst working at the United Nations, and has since recorded and/or supplied sounds for more than a dozen films that have gone on to win, or been nominated for, Academy Awards® in Sound. Her many credits include Blue Velvet, The Elephant Man, Dead Poets Society and Dirty Rotten Scoundrels. Ann’s approach to making unique and evocative ambient sounds has helped revolutionise the way we hear and experience films. Working with her clients to produce sounds that can’t be found in a catalogue, Ann uses her experience and creative talent to help enhance the mood, meaning and feeling of a project through sound. With her late partner Alan Splet, who was also ground-breaking in his craft, Ann built an extensive and ever-growing sound archive, which went on to become Sound Mountain. I have eighteen years of Sound Dept. experience working with a plethora of Production Sound Mixers. Please feel free if needed to contact any for a reference. During this time I have worked on exacting productions for luminaries including Christopher Nolan, Anton Corbijn, Werner Herzog and...er...Guy Ritchie(?). Not to be confused with my esteemed namesake, Christopher Atkinson the Sound Mixer! Click here for Chris' AMPS' Directory page. A number of industry faces attended the ex-staff reunion at De Lane Lea on Wednesday 23 November 2016. 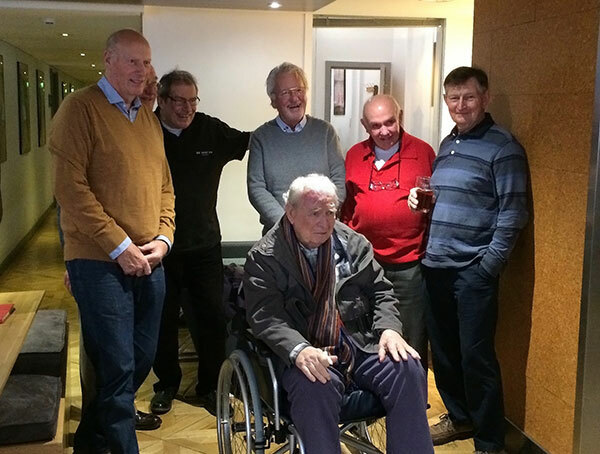 L to R: John Wood, John Blunt, Jeff Kellord, Louis Elman, Noman Brown, Robin Cannell and seated is Jaques De Lane Lea himself. The Lounge is situated on the top floor of Twickenham Studio's main building, providing spectacular views of the historic Richmond Park and the Star and Garter. 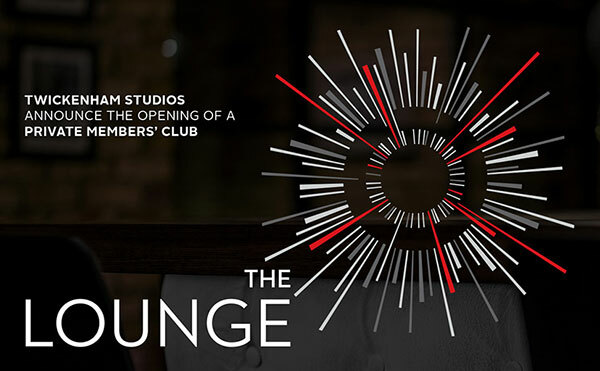 Membership is aimed at those who work in the creative industries and numbers will be limited. Amongst the benefits, membership will include access to screenings of both classic and newly released films, shown in one of the Studio's world renowned theatres. 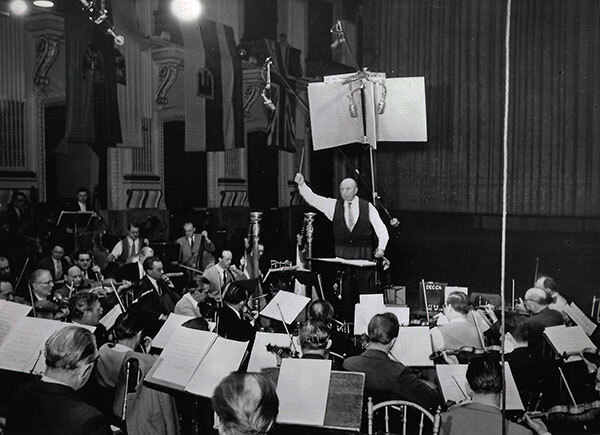 Robert Stolz in Vienna, recording waltzes for RCA in the Sofiensaal, June 1958. This was the original Neumann M50 Tree designed by Roy Wallace in 1954 and used in Vienna between 1955 and the fall of 1958, when the an ‘open’ Neumann KM56 Tree was introduced. In 1984, Mike Gray helped assemble a discography of Decca’s classical releases, giving him access to their engineers and recording logs, and a valuable insight into how their records were made. He reveals the truth about the famous Decca tree and the creation of the label’s unique sound. Mike Gray’s research into the Decca archives began in 1984, when the editor of the Gramophone classical music magazine, Malcolm Walker, asked him if he would like to work with record collector and discographer Brian Rust, who was creating a Decca discography. “We obtained permission to visit Decca at Belsize Road,” explains Mike, “which is where the studios were and the tape store was, and began looking at tapes on the shelf, which was one way to start! But it turned out to be a much more complicated project because, unlike a place like EMI, Decca was very much seat-of-the-pants in terms of documentation. 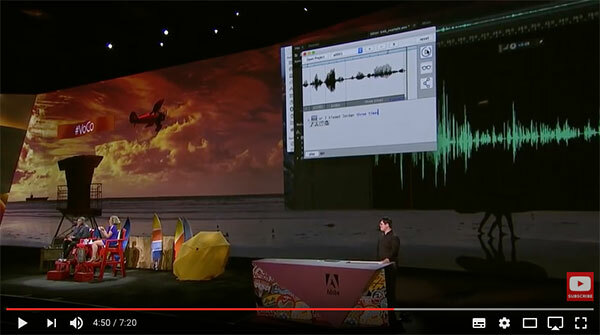 Adobe, commonly known for graphic software applications as Photoshop, InDesign, Illustrator, etc recently debuted VoCo (voice conversion), a Photoshop for audio and speech that’s both impressive and alarming. It's only a 7 minute video, click the image above, hang in there, be amazed. 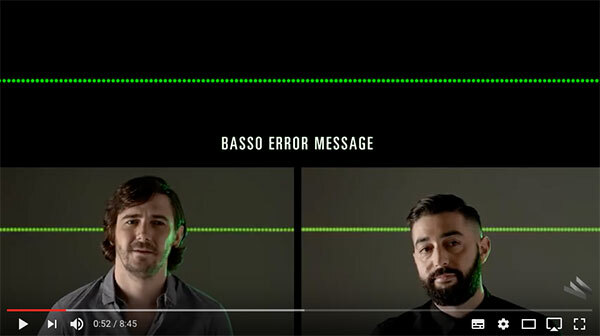 Two sonic branding experts explain the thinking behind some of the world's most recognizable sounds. Some amusing facts! Click on the image above. 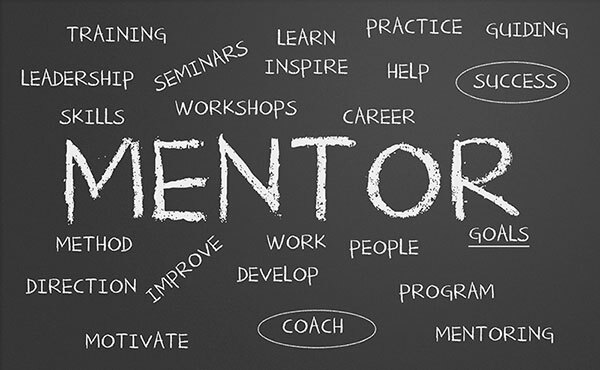 AMPS has been running a Mentor Scheme for a number of years; we currently have a number of Members waiting for mentors. If you think you can spare a couple of hours a month and would like to pass on your experience and knowledge to someone just starting out in the industry then please send an email the address below and we will send you an information pack about the AMPS Mentor Scheme. We are particularly looking for Production Sound Mixers who are London based to mentor students based at the NFTS, Beaconsfield. Did you know that the Directory pages on the AMPS website are some of the most frequently visited? Make sure that your profile is up to date - you never know where your next work enquiry will come from! Can we help with your Professional Development? We're keen to hear from you with ideas for seminars and training sessions which would contribute towards Continuing Professional Development. We're very aware that keeping up with techniques and updates can be a full time job in itself, so if there's any way that AMPS can contribute towards maintaining and developing your industry knowledge and skills, please get in touch. Please send your thoughts to admin@amps.net. Also, have a look at Creative Skillset's website which contains career advice.